What do you do when you command an exhausted and beaten-down army that is ill-equipped, largely demoralized and on the verge of collapse while you are fighting against the most powerful country in the world, Great Britain, and losing? What can you possibly do to lift up the spirits of your desperate troops. The answer, of course, is you celebrate St. Patrick’s Day. That is exactly what George Washington did in 1780. 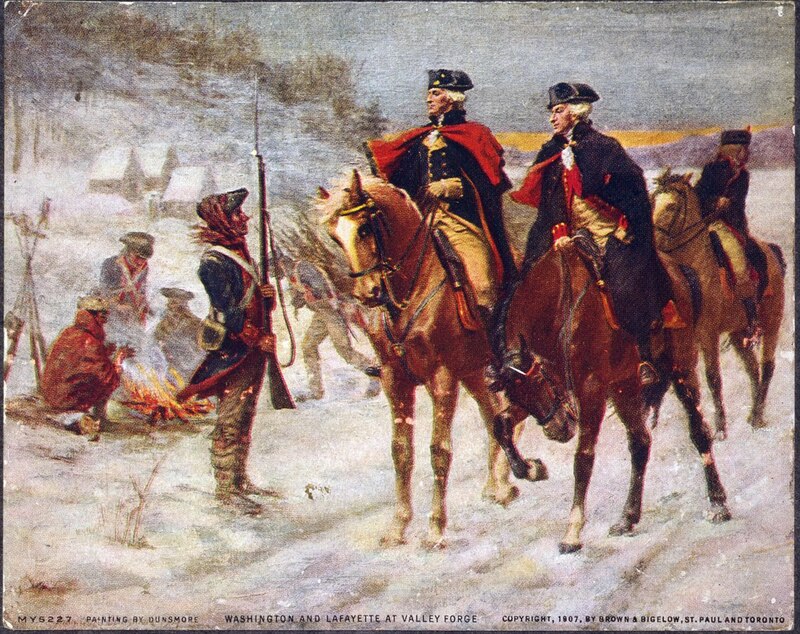 The winter of 1779/1780 was terrible for the Continental Army. The soldiers were ragged, unfed, and unpaid. They wintered in Morristown, New Jersey, which was as bad a place as was Valley Forge, earlier in the war. The American soldiers were malnourished and sick and poorly clothed. It is true that they had fought the British to a standstill in the North, but the British were making good progress with a new and aggressive strategy in the South in the Carolinas. As the war dragged on and on, the Continental Army could only see a long and bloody struggle ahead of it. The cause of American independence seemed to be slipping away day by day. To brighten up his soldiers' spirits, George Washington decided to have a holiday for his troops. 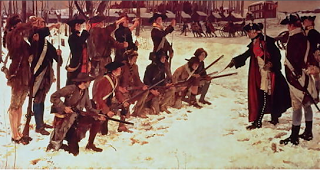 When the war began in 1775 at Concord and Lexington, the majority of American soldiers were of English heritage. As the war progressed, however, more and more men of other ethnic groups joined the Rebel cause. One of the main groups was the Irish from Ulster, the North of Ireland. These men were mainly Presbyterian and not Anglican or Catholic. (The great wave of Irish Catholic immigration to America would come later. Britain then was officially Anglican.) Sometimes called Scots Irish, these men nevertheless sympathized with the Irish rebel cause for freedom from British tyranny. Many Irish Presbyterians had suffered in Ireland under the unjust English Penal Laws which persecuted Irish Catholics mainly but also non-Anglicans like the Presbyterians. These Ulstermen also honored the feast day of the legendary Irish saint, St. Patrick. General Washington knew he had to raise the morale of his weary troops somehow, and a celebration of St. Patrick’s Day seemed like the remedy. So, on March 16, 1780, the day before St. Patrick’s Day, Washington produced a proclamation. The general congratulates the army on the very interesting proceedings of the parliament of Ireland and the inhabitants of that country which have been lately communicated not only as they appear calculated to remove those heavy and tyrannical oppressions on their trade but to restore to a brave and generous people their ancient rights and freedom and by their operations promote the cause of America. By all accounts the celebration was properly held. George Washington’s St. Patrick’s Day celebration was not the first one recorded in America -- that was back in 1762 in New York -- and it won’t be the last. It was not the biggest and maybe not the most fun -- although reportedly at least one army officer donated a cask of rum for the event. George Washington’s St. Patrick’s Day celebration of 1780, might be, however, the most important St. Patrick’s Day event in American history. 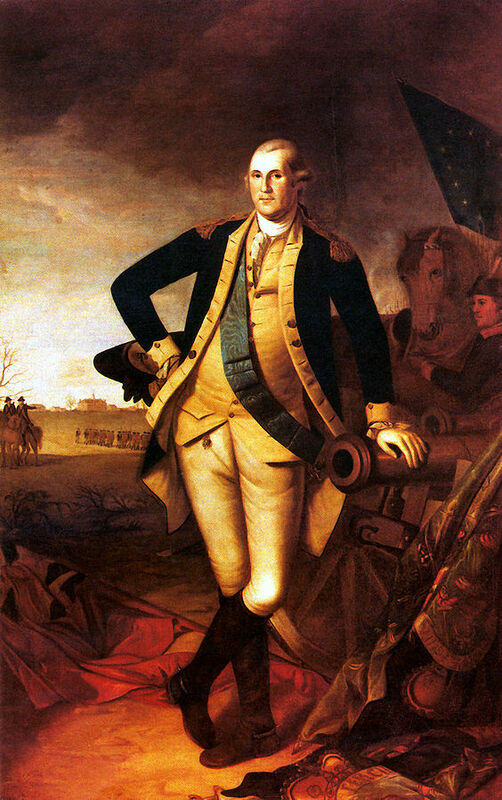 It lifted the spirits of Washington’s army and saw his men through a very rough time. It made his soldiers admire their leader and feel like he cared about their well-being, that he sympathized with their miserable condition. The next year, in 1781, George Washington would force march his war-weary men, who were nevertheless devoted to him, hundreds of miles to the south, to Yorktown, Virginia. There with the aid of his French ally, Washington would finally crush the British army under Lord Cornwallis, effectively winning the war for the Americans. By keeping the morale of his troops up just enough by any means, including celebrating St. Patrick’s Day, George Washington kept the American Revolution alive until he achieved victory. As odd as it may seem, a St. Patrick’s Day celebration on a bleak and cold day in March of 1780 helped a desperate Continental Army create a new nation and rescue the tenuous cause of Liberty from likely defeat.